New Cold Heat review at Heavy Paradise! 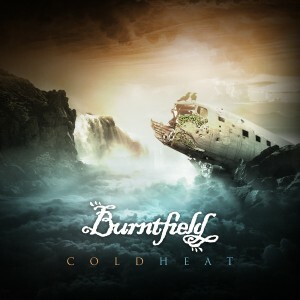 Comments Off on New Cold Heat review at Heavy Paradise! Thanks for a brilliant review of Cold Heat, Heavy Paradise! 8,5/10! Comments Off on 2 new shows announced! Looking forward to these, and yet more to come…! Burntfield is facing a change in the line-up. 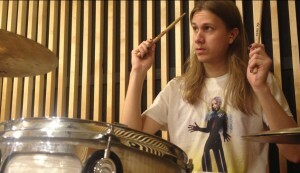 Founding member, drummer Riku Vääriskoski is leaving the group, due to other priorities and demands that clash with committing to the band. We all want to express our sincere gratitude to Riku for this Burntfield journey of over 3 years! With great pleasure we welcome the new drummer of Burntfield, our good friend Aarne Toivonen, who many of you will know as a guest stand-in drummer as well as a live percussionist for Burntfield. A drummer extraordinaire, prog specialist and songwriter, Aarne has years of working experience in different rock bands, as a theatre musician and freelancer in a variety of projects. Aarne comments: “Joining Burntfield feels good and rather natural. It’s great that the members of the band have the faith in me and they let me bring some of my own ideas into the band. Best wishes to Riku in his future endeavors! The change appears the most natural and enables the band to continue working with full power. For Burntfield it signifies a new chapter, and the future live shows promise to better than ever before. More plans about to follow soon! Burntfieldilla on edessään kokoonpanonvaihdos. Perustajajäsen, rumpali Riku Vääriskoski jättää yhtyeen, bändiin sitoutumisen kanssa yhteensovittamattomissa olevien muiden prioriteettien ja vaatimusten takia. Vilpittömimmät kiitoksemme Rikulle tästä yli 3-vuotisesta Burntfield-ajanjaksosta! Toivotamme tervetulleeksi Burntfieldin uuden rumpalin: hyvä ystävämme Aarne Toivonen, jonka moni muistanee Burntfieldin tuuraaja-rumpalina ja vierailevana liveperkussionistina. Aarne on huikea rumpali, progespesialisti ja biisinkirjoittaja, jolla on vuosien kokemus eri rockbändeistä, teatterimuusikkona ja freelancerina laajalti muissa projekteissa. Muutos näyttäytyy mitä luonnollisimpana ja antaa bändin jatkaa työskentelyä täydellä höngällä. Burntfieldille se tarkoittaa uutta jaksoa, ja tulevista keikoista onkin odotettavissa parempia kuin koskaan. Lisää suunnitelmia tulossa pian!